How do you find a shop you can trust to service your vehicle—one that will make you feel confident about your choice and provide quality repairs at a fair price? Here are some tips: Start with the most obvious. Is the facility neat and clean? Are employees genuinely concerned with your questions and are their answers direct, to the point and reasonable? 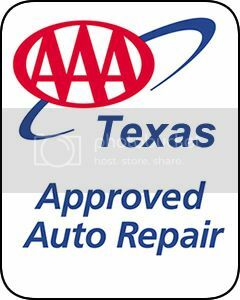 Look at the credentials of the business and the employees who will service your vehicle. Most shops will post educational certifications or accomplishments and professional business affiliations in their waiting areas. Some affiliations to look for include trade association membership, such as the Automotive Service Association (ASA). Look for certification or education offered by the National Institute for Automotive Service Excellence (ASE), the Inter-Industry Conference on Auto Collision Repair (I-CAR) and the Automotive Management Institute (AMI). Ask about the equipment used to diagnose and perform the service. Is it up-to-date and are the technicians educated in the proper equipment use? Make sure a written estimate is provided prior to letting the business begin the repair. A good rule of thumb is to request approval on any changes to the original estimate that exceed 10 percent. Ask about the shop's warranty. Most automotive service facilities will warranty their parts and labor either in writing or in shop posted announcements. Ask family, friends and neighbors for their recommendations. Word-of-mouth referrals are the shop's best form of advertising.